Turn the headlight switch to turn the headlights, other exterior lights and instrument panel illumination on or off. When the lights are turned on, the lights-on indicator light in the instrument cluster turns on. *1 If the driver's door is opened or 30 s have elapsed with the headlights turned on, the headlights turn off. *1 The headlight and other light settings switch automatically depending on the surrounding brightness detected by the sensor. *2 While the lights are turned on, they will remain on even if the ignition is switched to a position other than ON . If the driver’s door is opened or 30 s have elapsed with the headlights turned on, the headlights turn off. *3 When the ignition is switched to a position other than ON , the lights will not turn on even if the light switch is switched to . *4 If the driver’s door is opened or 30 s have elapsed with the headlights turned on, the headlights turn off. switched ON, the light sensor senses the surrounding lightness or darkness and automatically turns the headlights, other exterior lights and instrument panel illumination on or off (see chart above). Do not shade the light sensor by adhering a sticker or a label on the windscreen. ignition is switched ON as fi ngers could be pinched or the wipers and wiper blades damaged when the wipers activate automatically. If you are going to clean the windscreen, be sure the wipers are turned off completely — this is particularly important when clearing ice and snow — when it is particularly tempting to leave the engine running. The headlights, other exterior lights and instrument panel illumination may not turn off immediately even if the surrounding area becomes well-lit because the light sensor determines that it is night time if the surrounding area is continuously dark for several minutes such as inside long tunnels, traffi c jams inside tunnels, or in indoor parking lots. In this case, the lights turn off if the light switch is turned to the position. switched to ACC or the ignition is switched off, the headlights, other exterior lights and instrument panel illumination will turn off. The instrument panel illumination can be adjusted by rotating the knob in the instrument cluster. Also, the antidazzle mode can be changed by rotating the knob until a beep sound is heard. To adjust the brightness of the instrument panel illumination: Refer to Instrument panel Illumination on page 4-31 . The sensitivity of the AUTO lights may be changed by an Authorised Mazda Repairer. The headlights switch between high and low beams by moving the lever forward or backward. To fl ash the headlights, pull the lever fully towards you (the headlight switch does not need to be on). The headlight high-beam indicator light in the instrument cluster illuminates simultaneously. The lever will return to the normal position when released. When the surroundings are dark while leaving your vehicle, visibility at the front of the vehicle can be assured for a certain period of time. When the ignition is switched to ACC or off, the headlights illuminate when the lever is pulled. The headlights turn off after a certain period of time has elapsed after the doors are closed. The time until the headlights turn off after the all of the doors are closed can be changed. If no operations are done for 3 minutes after the lever is pulled, the headlights turn off. The headlights turn off if the lever is pulled again while the headlights are illuminated. When the surroundings are dark while approaching your vehicle, visibility at the front of the vehicle can be assured for a certain period of time. 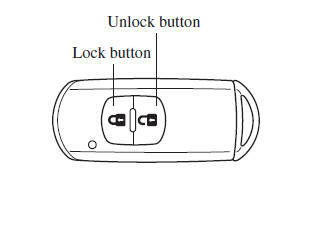 When the ignition switch and the headlight switch are as indicated below, the headlights will illuminate when the transmitter unlock button is pressed and the vehicle receives the transmitter signal. The headlights turn off after a certain period of time has elapsed (30 seconds). Operation of the leaving home light system can be turned on or off. When the transmitter lock button is pressed and the vehicle receives the transmitter signal, the headlights turn off. 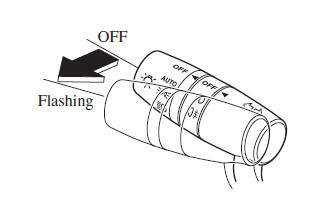 The headlight levelling switch is used to adjust the angle of the headlights manually. 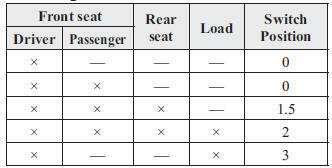 Select the proper headlight angle from the following chart. Some countries require moving vehicles to have their lights on (running lights) during the daytime. The running lights turn on automatically when the vehicle starts moving.